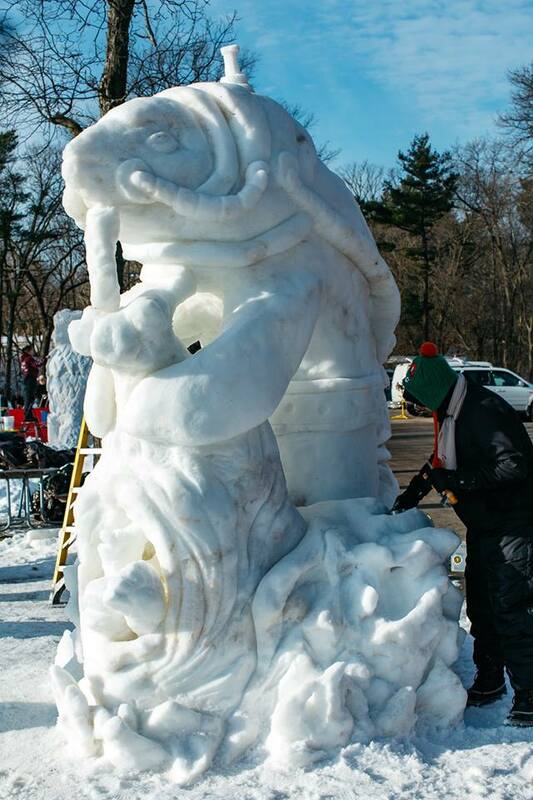 ROCKFORD, IL – The results are in for the 32nd Annual Illinois Snow Sculpting Competition! The winning teams were announced at an awards ceremony earlier this afternoon at Sinnissippi Park in Rockford, Illinois. 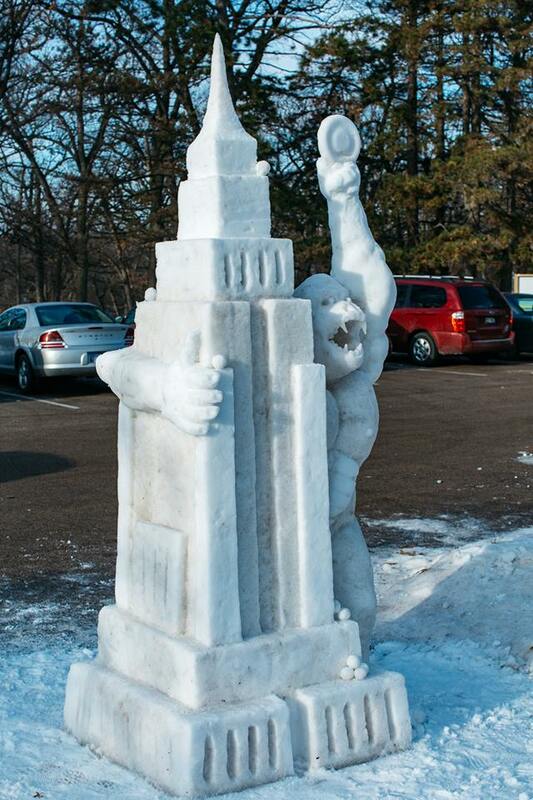 Cave People from Space team of Brian Hierstein (Captain), Joe Goral, and Kelly Madison won the 32nd annual Illinois Snow Sculpting Competition with their sculpture titled "So Long and Thanks for All the Fish." Cave People from Space will also advance to the 2019 U.S. Nationals Snow Sculpting Competition in Lake Geneva, Wisconsin. In all eight state teams, sixteen high school teams, and one exhibition team (the winner of last year’s Illinois Snow Sculpting Competition) participated in the January 17 – 20, 2018 event.